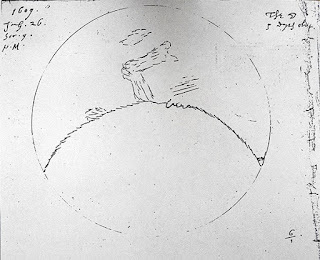 On 26th June 1609 Thomas Harriot pointed his newly acquired “Dutch Trunke” (telescope) at the Moon and made a drawing of what he saw. Around 1611 he produced a composite Moon map based on his many observations. Unfortunately we have no idea what the numbers Harriot wrote on his map refer to as the figure legend has been lost. “Mathematicall Instruments, Sea-Compasses, the vertue of the Loadstone, in drawing yron, a Perspective Glasse, whereby was shewed manie strange sightes, Burning Glasses, Wilde-Fire woorkes, Gunnes … Spring Clocks that seem to goe by themselves, and many other things” (A Briefe and True Report of the New Found Land in Virginia published in 1588). So in the Tudor period there is written evidence that Thomas Harriot possessed and was able to use a Digges-Bourne perspective glass. Given Thomas Harriot's enquiring mind I feel certain that he would have tried pointing his perspective glass towards the night sky. My guess is that he would have seen some details of the lunar surface but that without access to a polarising filter any surface irregularities could have been real or simply due to aberration and lens defects. Galileo's work was also initially criticised when the Starry Messenger was first published in 1611 but Galileo used logic and mathematics to back his observations which were harder to refute. Had Thomas Harriot announced on his return to England in 1585 that he had observed imperfections on the lunar surface he would have been ridiculed. The prevailing Tudor opinions of the Moon were that it was made of quintessence (the fifth element after earth, water, fire and wind), or that it possessed shallow seas and forests. The Digges-Bourne telescope is difficult to focus on the Moon and it is hard to get consistent images. 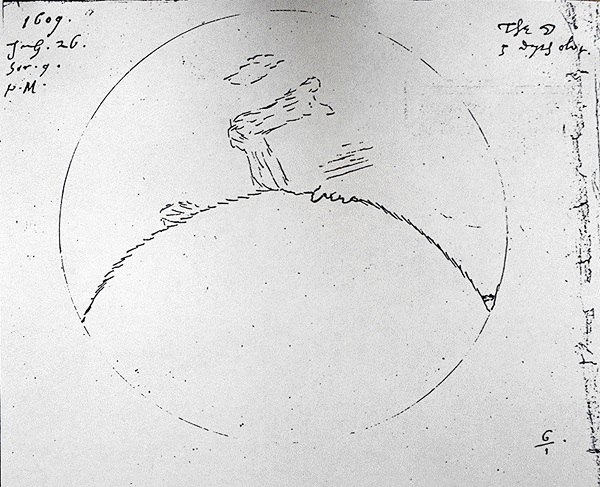 However, could it be that having glimpsed the Moon through his perspective glass Thomas Harriot was subsequently motivated to buy an early Dutch telescope in 1609 and look once more at the moon in greater detail? In any event Harriot's map was not published until over 100 years after his death, in 1784, by which time the lunar mapping and telescopes had significantly advanced and the presence of craters on the Moon had been firmly established.